A-HOTEL.com - Luksusowe i tanie hotele w Moldes, Hiszpania. Rezerwacja zakwaterowania w Moldes i okolicy. Located on the Camino de Santiago Pilgrimage Route, surrounded by gardens and countryside, Hostal El Recanto offers heated rooms. Rustic-style rooms come with a private bathroom. Casa Do Ferreiro - La Fragua is set in Las Herrerías and features a garden. With a terrace, the property also features a shared lounge. Located in the village of Ambasmestas, CTR Ambasmetas offers free Wi-Fi, free private parking and a traditional restaurant. It is just a 2-minute drive from Junction 420 of the A-6 Motorway. Hostal El Peregrino is set in La Portela de Valcarce, on the Camino de Santiago Pilgrimage Route and 200 metres from the A6 Motorway. It features a restaurant and free Wi-Fi. Offering a restaurant serving homemade meals, Hotel Rural Nova Ruta is located in Trabadelo. 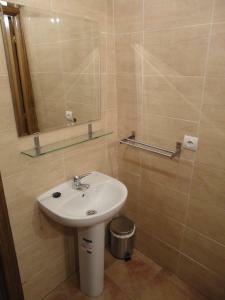 Set by Valcarce River and situated on the Camino de Santiago Pilgrimage Route, the guest house offers free Wi-Fi. 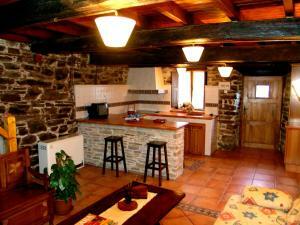 Offering free WiFi, Casa Navarro is located in O Cebreiro. The tour desk is available to assist guests in planning their days out. Featuring a bar, Hostal Mesón Antón offers accommodation in O Cebreiro. Free WiFi is available.